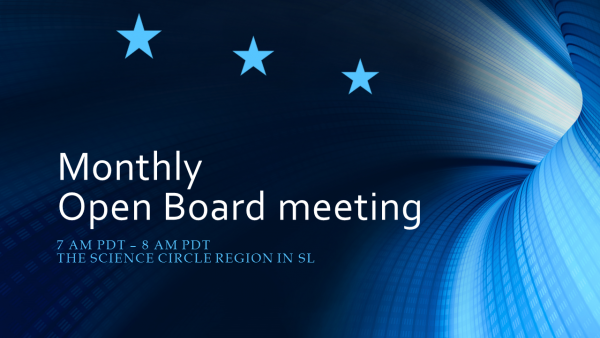 Every first Friday of the month, we hold an open board meeting for the benefit of our members. Here you can contact us with your questions, create ideas and hopefully together with us, give substance to our plans for the future. During every open board meeting we display a screen with our current statistics, updated monthly and are there for your information. Do we need a second region? NOTE: a transcript of all board meetings is stored and made available to the board of directors for future reference. It will not be publicly available. If this time does not suit you, please send your questions etc via IM, notecard or email to Jes or Chantal. We will submit your question, idea or comment to the board and provide you with the answer.